There is a little girl in my house that is still obsessed with all things princess related and I can guarantee that she would love to make her dad a crown for Father's Day. 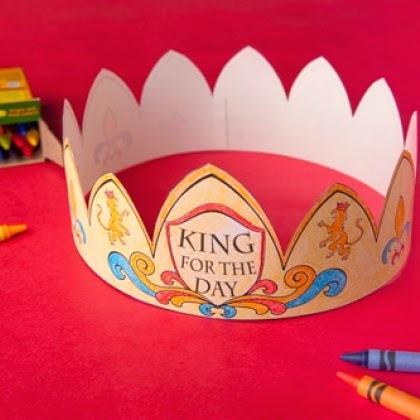 This printable King for the Day crown fits the bill perfectly. I have already printed one out for her to color for her daddy. You can get your own copy of this printable Father's Day crown over at Spoonful.